We have organised a Golf day and auction in aid of Prostate cancer at Willingdon Golf Course in East Sussex on the 26th May 2017. The event has been registered with Prostate Cancer UK. It is a Golf day with an evening meal and a charity auction of donated memorabilia and other items. 1 in 8 Men will get Prostate Cancer at some time in their life. Tom was diagnosed with prostate cancer in December 2015. He had an operation in January 2016 to remove the prostate. The operation went well, and he is doing OK and the outlook is pretty positive. He received fantastic treatment and we have had wonderful support. We want to give something back and help both raise awareness about this cancer and eradicate it by raising funds for better diagnosis and treatment. Thus we decided to organise the Golf day and auction. It is a Team Stableford event in teams of 4 (best 3 scores on each hole to count) and a 2 course evening meal. There will also be a charity auction of donated items during the day including 4 ball vouchers for many local and not so local clubs as well as some excellent donated items. The cost per team is £160. 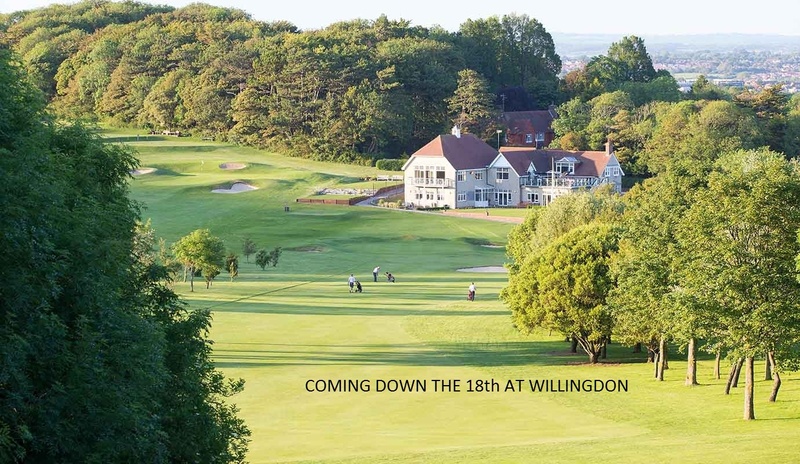 There is a £10 discount for each Willingdon member in your team. Application forms can be obtained from Tom Chapman on 01323842758 or tomchapmanipfa@hotmail.com. We need to get ideas of numbers as soon as possible. The cut off date is 12th May but would obviously prefer application forms in earlier. The event is open to all and players of all standards are welcome. It would also be great to see some ladies supporting the cause too. If you are interested in playing but can’t raise a team of 4, give us a ring a ring and we can likely put you in touch with others in a similar situation or with a team looking for players to complete their line up. Tee times are between 11.00 am – 12.30 pm and we will be going off the 1st and 9th tees. You can state your preferred time on the application form. We would be delighted to receive any prize donations for the raffle or auction and are looking for sponsors to sponsor a hole for £50. You will have a laminated sign on the tee indicating your sponsorship. If you are interested in sponsoring or wish to be involved in any way we would be delighted to hear from you.